WINSLOW, JOSHUA, army and militia officer, diarist, office holder, judge, and politician; b. 23 Jan. 1726/27 in Portsmouth, N.H., youngest of three children of John Winslow and Sarah Peirce (Pierce); d. June 1801 at Quebec, Lower Canada. 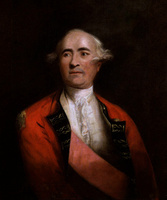 In 1745, at the age of 18, Joshua Winslow became a lieutenant in a New Hampshire regiment raised for William Pepperrell*’s expedition against Louisbourg, Île Royale (Cape Breton Island). Continuing his military career after the fall of the fortress, he exchanged his provincial commission for a regular one as ensign in Pepperrell’s newly formed 66th Foot. Winslow also received an appointment as commissary general of the British forces in Nova Scotia. It was in this capacity that in 1750 he accompanied the two expeditions commanded by Charles Lawrence* which resulted in the construction of Fort Lawrence on the Chignecto Isthmus the same year. He continued his service as commissary at Fort Lawrence and then at Fort Cumberland (near Sackville, N.B. ), the former Fort Beauséjour captured in 1755. At this time he met and had as an assistant Brook Watson, who later was to be of considerable help when Winslow became a loyalist refugee. On 3 Jan. 1758 Winslow married his cousin Anna Green; the two sons and two daughters they eventually had were to die relatively young. There is some evidence that Winslow was involved in business in Massachusetts in the early 1760s, but for most of that decade he was in Nova Scotia. In August 1761 he was appointed to “a committee to admit persons into the township of Sackville” and, along with John Huston, one of its earliest settlers, he had an important influence on the township’s composition. The committee decided on the layout of settlement areas within the township, formulated guidelines on the allotment of acreage, and distributed tracts of land. In 1765 Winslow was among the leading men of Cumberland County who petitioned for the county’s representation in the House of Assembly. When this request was granted Winslow was chosen as the area’s representative, although he did not serve as one of Cumberland’s officially elected members until 1770–72. In April 1764 he had been appointed a judge of the Inferior Court of Common Pleas for Cumberland County, and he had been a colonel in the militia since June 1762, justice of the peace for Cumberland County, and truckmaster for Indian trade. Despite his acquisition of land and offices in Nova Scotia, as well as his continuing duties as commissary, Winslow retained his New England connections. In 1770 his ten-year-old daughter Anna was sent to Boston, Mass., “for schooling” and, judging by Anna’s diary, in April 1772 her parents were “preparing to quit [their] present habitation” at Cumberland in favour of their residence at Marshfield Mass. 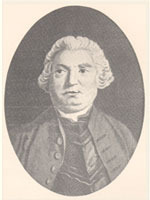 In 1776, some years after Winslow had “sold out and removed,” John Eagleson*, one of his critics in Nova Scotia, surmised that he would find in “New England his native country, a Clime better suited both to his Civil and Religious Sentiments.” Instead, the increasingly rebellious climate of Massachusetts proved unacceptable to Winslow and he soon was identified as a tory sympathizer. Arrested, and then released, by one of his nephews, he decided escape to Halifax was necessary. In August 1780 he was still in Halifax. Recommended that month “by some eminent Merchants of London as a person of great Honour & conversant in Business,” he was soon appointed to oversee payment of “the Subsistence & Extraordinaries of the Forces serving at Quebec. “For some reason the letter of appointment did not reach Governor Frederick Haldimand until the fall of 1782, but a “Variety of difficulties” had retarded Winslow’s arrival until the spring of that year. Winslow carried with him a supporting letter from Welbore Ellis, secretary of state for the American colonies, and Haldimand also soon received a strong recommendation concerning Joshua’s “Merit” from Brook Watson. Ellis in his letter emphasized to Haldimand Winslow’s suitability for a seat on the Legislative Council but felt it would be better “for the King’s Service that he should owe it to you, and therefore your Recommendation of him will be waited for before any step is taken for his Appointment.” Although Haldimand on several occasions recommended Winslow to fill any vacancy which might occur on the council, Winslow never was appointed. Even allowing for the exaggerated comments of his friends and patrons, Winslow appears to have been an individual who was respected and trusted as a man of principle. Despite the acceptance of the revolutionary cause by relatives and friends, and despite the threat to his immediate family, Winslow felt his interests were best protected by supporting the crown. Once his choice was made, his friends in London saw to it that he was reasonably well rewarded. Ironically, after his death his wife wasted no time in returning to New England, where she died in 1816. Joshua Winslow’s journal has been published as The journal of Joshua Winslow, recording his participation in the events of the year 1750 memorable in the history of Nova Scotia, ed. and intro. J. C. Webster (Saint John, N.B., 1936). BL, Add. mss 21705: 16; 21707: 101–2; 21710: 214–15; 21715: 172–73; 21716: 74; 21717/2: 487; 21723: 49, 270, 429; 21724: 298, 360; 21727: 76; 21733: 167–68; 21752/2: 426–27, 442, 455, 457, 522; 21753: 65–66 (transcripts at PAC). PAC, MG 11, [CO 42] Q, 67:16, 21, 229, 313, 362; 69/2: 331; 71: 386–87, 392, 398, 400; MG 23, D4; RG 8, I (C ser. ), 76: 1–11; 223: 62; 224: 29–30. PRO, WO 34/61: 57 (mfm. at PAC). [A. G. Winslow], Diary of Anna Green Winslow, a Boston school girl of 1771, ed. A. M. Earle (Boston and New York, 1894). [John Winslow], “Journal of Colonel John Winslow of the provincial troops, while engaged in removing the Acadian French inhabitants from Grand Pre . . . ,” N.S. Hist. Soc., Coll., 3 (1883): 105, 133–34, 139–40. Directory of N.S. MLAs, 371, 383, 385, 389. G.B., WO, Army list, 1790: 326. “Louisbourg soldiers,” comp. Charles Hudson, New-England Hist. and Geneal. Reg. (Boston), 24 (1870): 379. Wallace, Macmillan dict. Merrill Jensen, The founding of a nation: a history of the American revolution, 1763–1776 (New York and Toronto, 1968), 437. J. D. Snowdon, “Footprints in the marsh mud: politics and land settlement in the township of Sackville, 1760–1800” (ma thesis, Univ. of N.B., Fredericton, 1975), 20–22, 69. Howard Trueman, The Chignecto Isthmus and its first settlers (Toronto, 1902; repr. Belleville, Ont., 1975), 29–30, 33. J. C. Webster, The forts of Chignecto: a study of the eighteenth century conflict between France and Great Britain in Acadia ([Shediac, N.B. ], 1930), 104; “Sir Brook Watson: friend of the loyalists, first agent of New Brunswick in London,” Argosy (Sackville, N.B. ), 3 (1924–25): 3–25. W. G. Godfrey, “WINSLOW, JOSHUA,” in Dictionary of Canadian Biography, vol. 5, University of Toronto/Université Laval, 2003–, accessed April 24, 2019, http://www.biographi.ca/en/bio/winslow_joshua_5E.html.